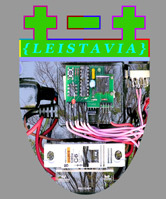 In this project, the Leistavian Federal Bureau of Information is gathering statistics and information about how people identify with their culture. We are also interested to know whether there are any differences between people with one cultural identity and those with two. The information is collated and presented visually initially as part of a project for the 13th International Symposium on Electronic Art in San Jose, and then at other exhibitions. All information is strictly confidential. For further information and project context, please view the about the project page. Links to visualisations of the data can be found here. Before submitting your survey, please check your answers to make sure they are correct. 2. In what country do you mostly live? 3. How long, if at all, has your family lived in the country where you live now? Please select one answer. I'm the first to live here (first generation). My parents moved here (second generation). My grandparents moved here (third generation). My family has been here for four or more generations. 4. What culture do you feel has the most influence on your personality? 5. From whom does your cultural influence mainly stem from? Please select one. Further back in my family history. Friends or other informal social group. I'm a member of a club, group or society that supports my identity. Other [please type in box below]. 6. Does your main cultural influence come from your mother’s or father’s side of the family? Both sides of the family. Comes from somewhere else [please state]. 7. In what way do you identify with your main cultural influence? Please select the most important one. For me it is part of being a close knit family. It's all about my sense of extended family. It's more to do with being part of a group of friends that get together. It's about sharing time with people who have the same values. I occasionally meet with people who have the same background. It's just a feeling I have. 8. How important to you is your main sense of cultural identity? Please select one. It	is one of the most important things about me. It's just a part of me, it's there but I don't do much about it. 9. Do you take part in customs, rituals, clothes or traditions related to your main cultural influence? Please select the most appropriate answer. Not in the last five years. 10. Do you feel as though you are influenced by more than one culture? 11. If you feel you are influenced by more than one culture, what is your second cultural influence? 12. From whom does your second cultural influence stem from? Please select one. 13. Does your second cultural identification come from your father’s or mother’s side of the family? 14. In what way do you identify with your second cultural influence? Please select the main one. It's	all about a sense of extended family. It has to do with being part of a group of friends that get together. 15. How important to you is your second sense of cultural identity? Again, please select one. It is one of the most important things about me. 16. Do you take part in customs, rituals, costume or traditions related to your second cultural influence? Not much in the last five years. Very rarely at all in my life. You have chosen to skip Questions 11 - 16 about second culture influences. 17. Please indicate your age group. All statistics are confidential. We do not collect information such as your name. 18. Please indicate your gender. If you wish to receive the results of the survey, please enter your email address below. Your email address is confidential and under no circumstances is passed on to any other person or organisation.